"Goodeye Visual Art Is Headed To Southeast Asia This Holiday!" 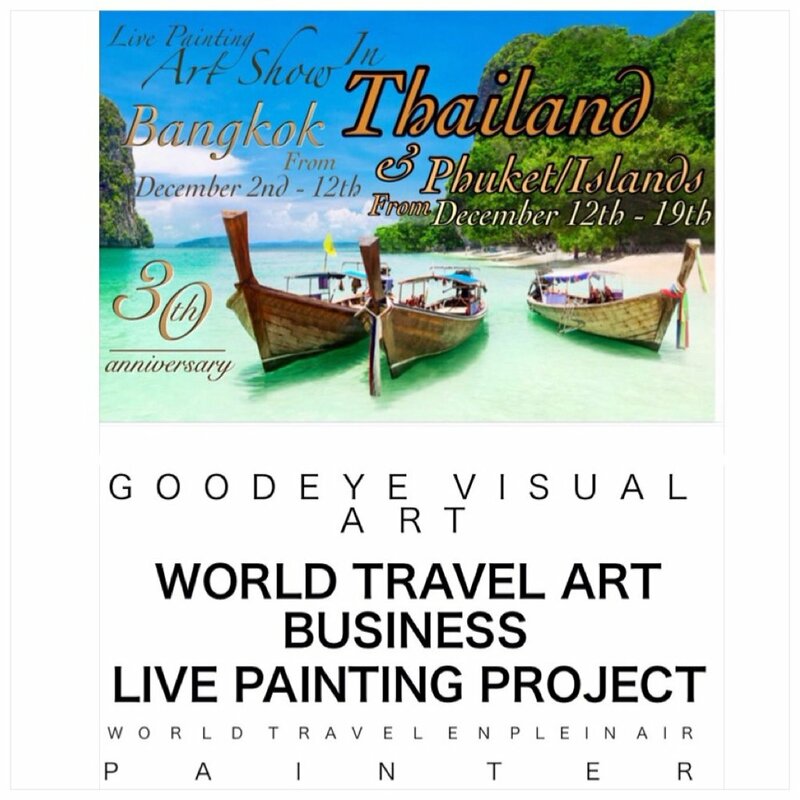 Goodeye Visual Art will be going to southeast Asia in Thailand this holiday season from Wednesday, November 29th, 2017 to Tuesday, December 19th. This will be the first ever installation solo international trip for the art business project on the bucket list and for myself included. The art business trip will be a two week period. The first week I will be in Bangkok for seven days. The first live painting art show will be held at a Airbnb resort suite Sky Walk Condominium. I will be live painting the Bangkok city skyline view on the rooftop. Along with the infinity pool in the background. This project will be taking on Thursday, November 30th, 2017 night time. The address of the SKYWALK CONDO (24th) Airbnb resort. 1595 Sukhumvit Road Phrakonong-nua Sub District, Wattana, Bangkok, 10110, Thailand. After seven days in Bangkok, Thailand on Tuesday, December 12th, 2017 I will be headed to Phuket, Thailand Islands. This will be the second and third live art paintings I will be doing in Thailand. The second live painting art show will be taking place on Tuesday, December 12th or Wednesday the 13th. What I will be doing is the James Bond Island in Khao Phing Kan, which is a island in Phang Nga Bay northeast of Phuket. This island is also part of Ao Phang Nga National Park and was featured in the year 1974 James Bond 007 movie film "The Man with the Golden Gun". That's what the island is popularly known for and it's fame. Furthermore; third live painting art show project will be taking place on Wednesday, December 13th or Thursday the 14th. I will be live painting and at the Maya Bay, Koh Phi Phi Lee Island/ Phi Phi Leh. This famous island is also known for and was featured in a popular tourist film from year 2000 called "The Beach" . A Thriller/Drama starring actor Leonardo DiCaprio about a young male college american tourist that discover a unknown hidden beautiful island in the Gulf of Thailand across from Phuket. This business trip will not be just about only for the artwork, but to celebrate my 30th birthday which will be on Saturday, December 2nd, 2017. 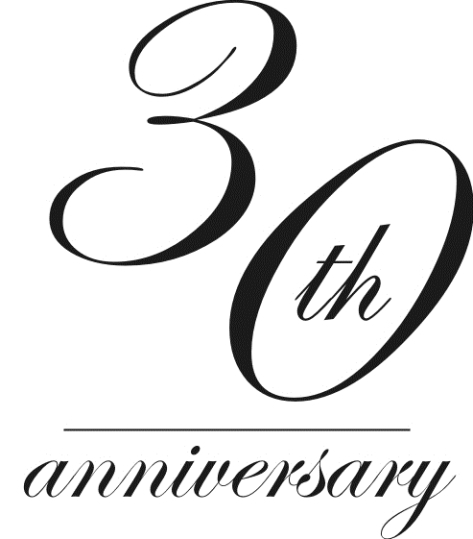 It will mark the 30th anniversary of me living on this earth and actually thanking God to see 30 years of age. To have the opportunity to see and witness the this beautiful world what it truly is for the first time and at this particular age. Traveling over 9,000 miles across around the world away from home(USA). I hope you stay tune too see some amazing artwork painting projects and plus beautiful pictures to come.